inscription: Bottom right has "Gay Liberation Front" printed in black lettering. Poster has a bright pink background with black lettering and black and green images. In the center are two men embracing each other, one has his fist raised. Both men have on dark green shirts and black jackets. In the upper left are two women. One woman has on a green shirt and the other has on a black turtleneck. 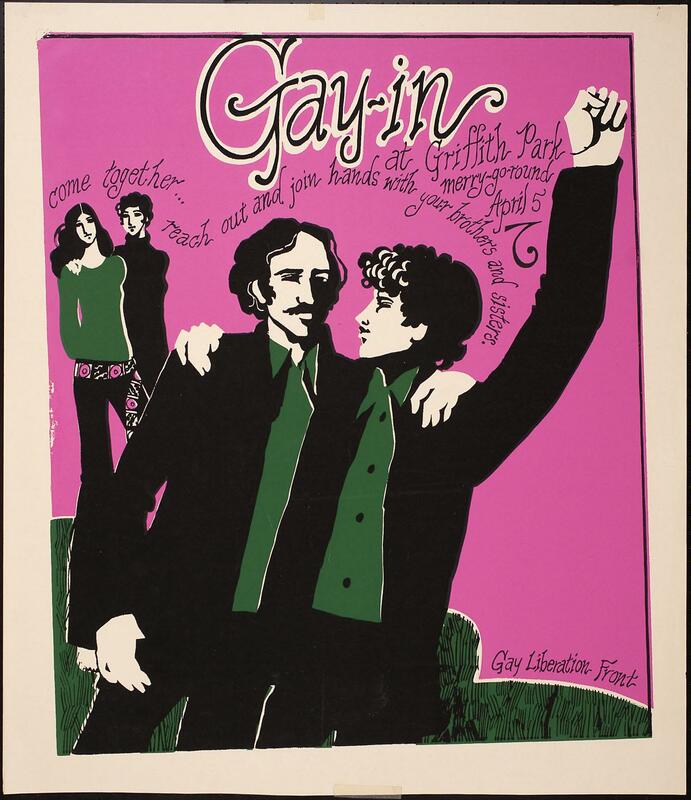 The poster reads, "Gay-in at Griffith park merry-go-round April 5/ come together ... reach out and join hands with your brother and sisters."